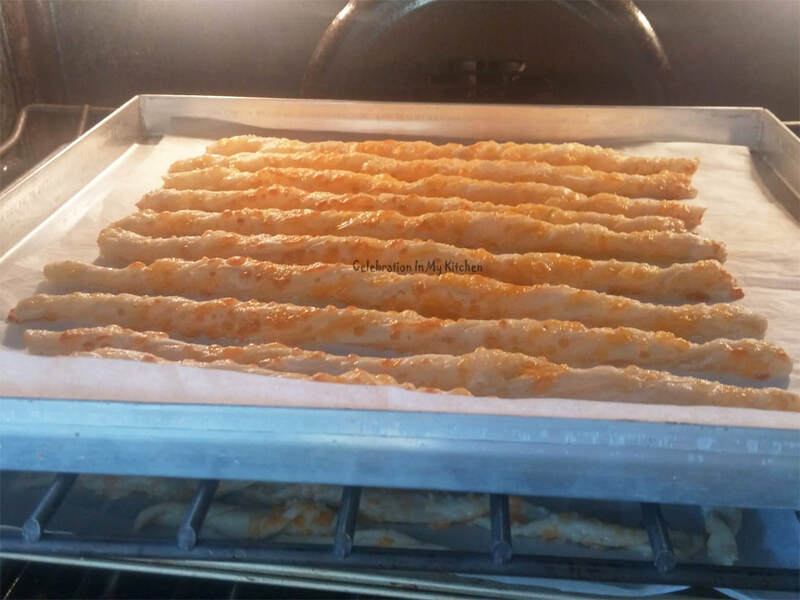 One of the tastiest and easiest appetizer taught to us at the College of Home Science was cheese straws. 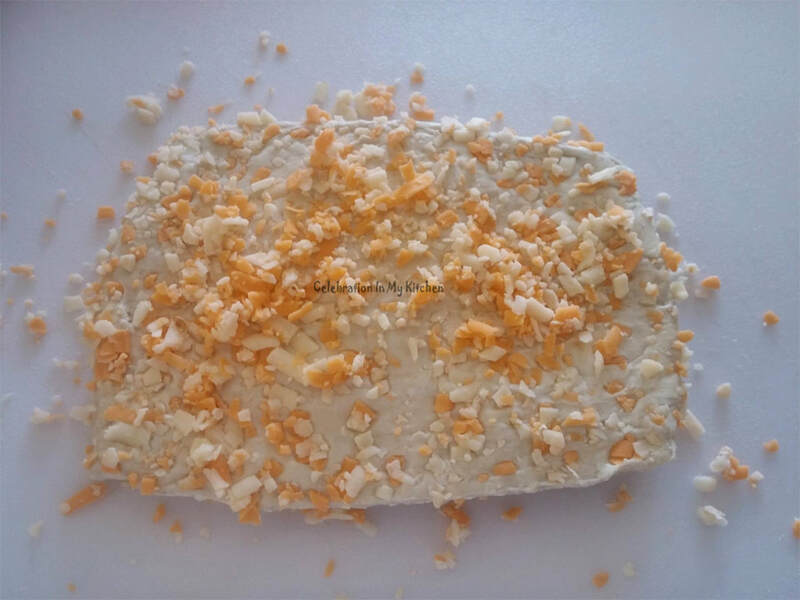 The process involved making a shortcrust dough, rolling, cutting into strips, twisting and baking. Now, with just two ingredients; store-bought puff pastry and cheese, it is super easy to make this much loved savoury snack at home. 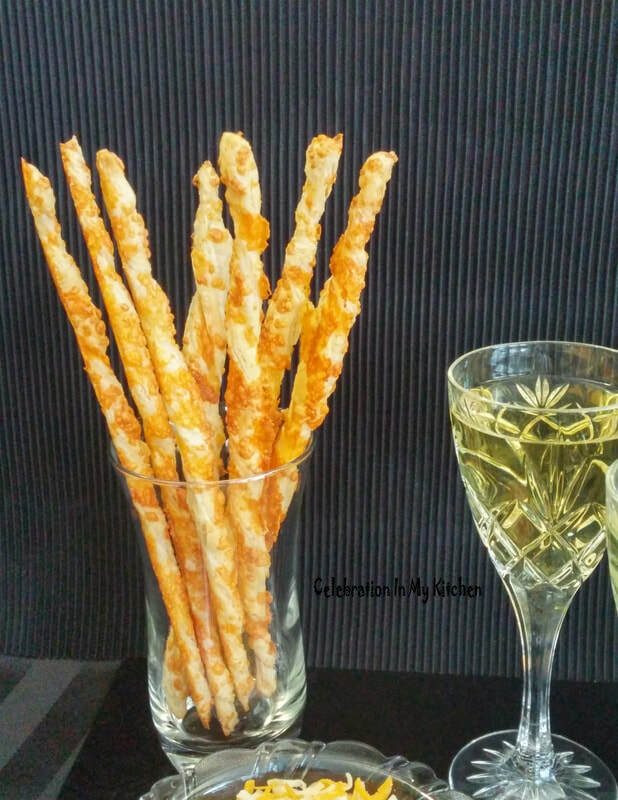 A favourite during the holidays, elegant finger-food when displayed in a glass, crispy and crunchy. 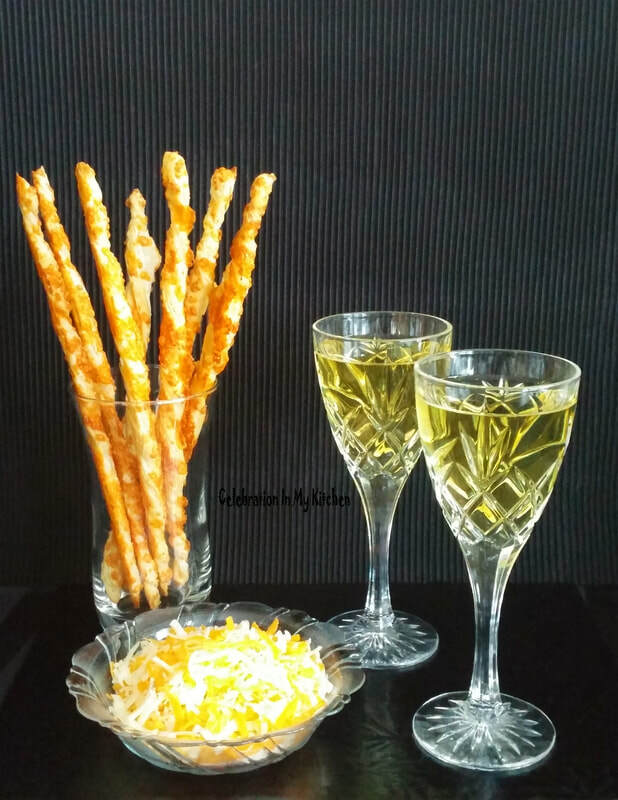 Perfect for parties and pairs well with wine, cocktails or soup. 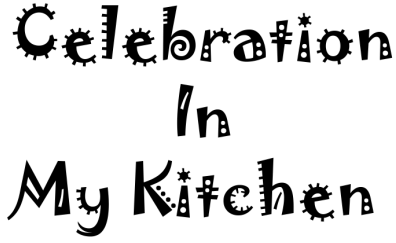 Enjoyed by children and definitely, a crowd-pleaser. 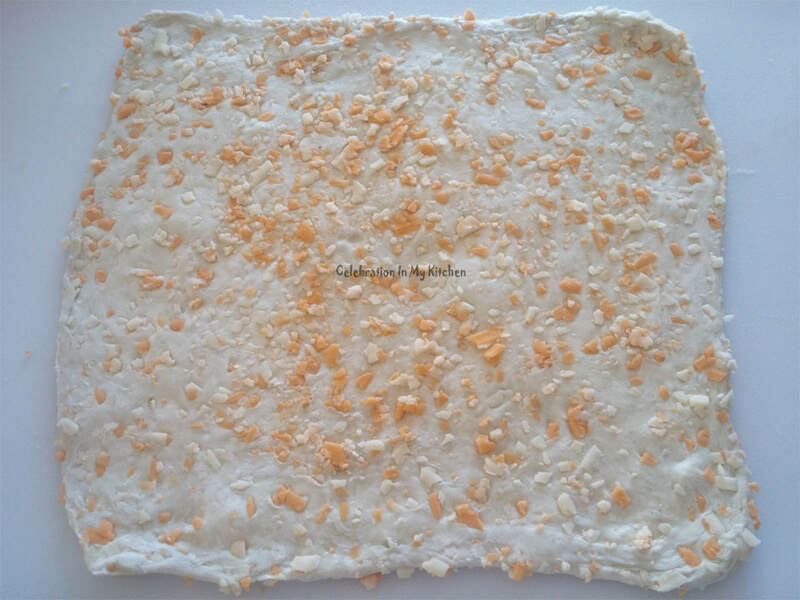 Puff pastry is rolled out on a work surface covered with cheese. 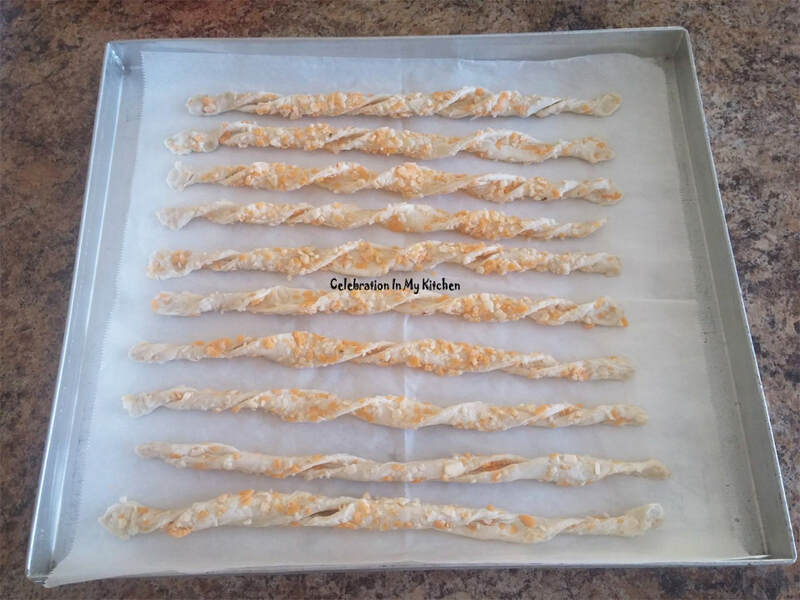 Sprinkled with more cheese on top, the pastry is cut into strips, twisted and transferred onto a lined cookie sheet. Baked at 400 F or 200 C for 10 to 12 minutes until crisp and golden brown. Best eaten warm, can be made ahead, reheated in the oven for a couple of minutes just before serving to firm up in case they have softened. 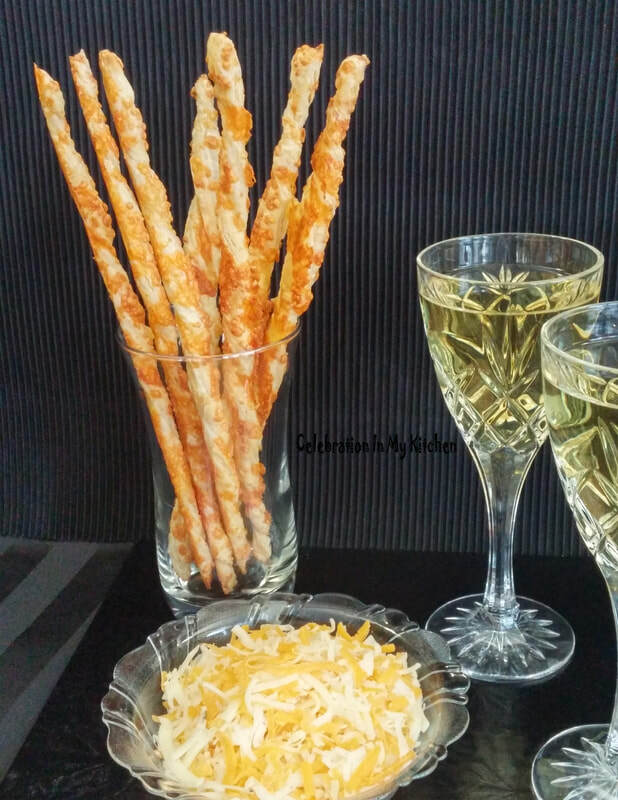 A cheesy delight in every bite, tempting and addictive. 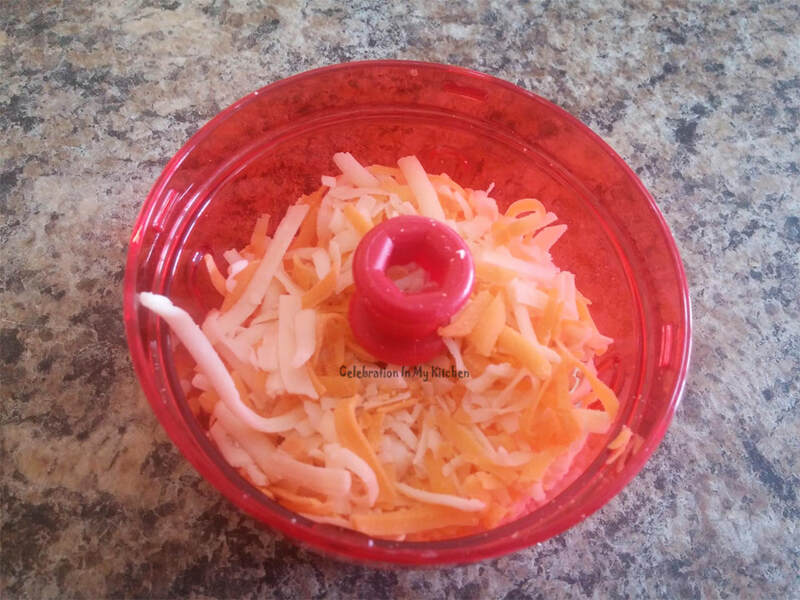 In a mini chopper, process the cheese to smaller pieces. Spread some cheese on a work surface. Roll a block of puff pastry into 10-inch x 9-inch rectangle. Use more cheese to press and distribute evenly into the pastry. With a pizza wheel, cut into 1/2-inch strips. 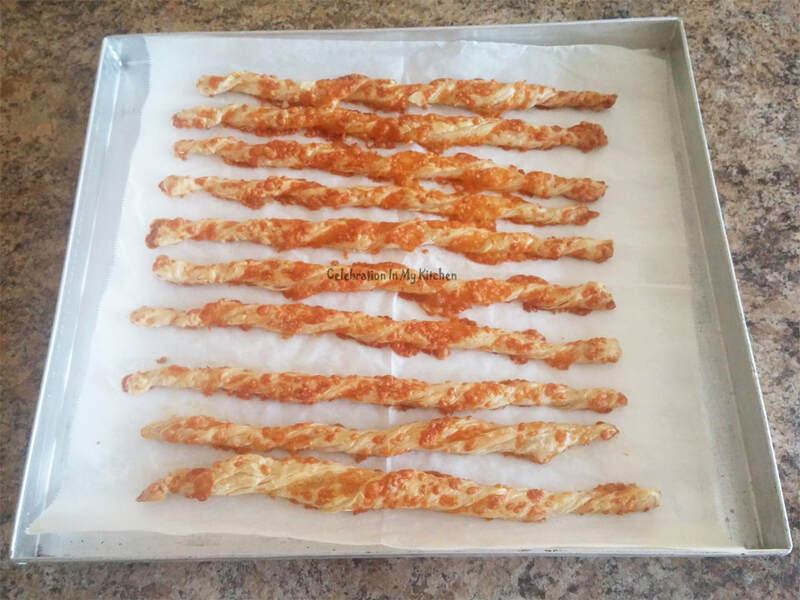 Twist each strip and place 1/2-inch apart on a baking sheet lined with parchment paper. Press ends onto the paper to prevent the strips from unravelling. Repeat the above with the second block of puff pastry. Bake until crispy, puffed and brown, 10 to 12 minutes. Serve warm or at room temperature. Use 1 cup of cheese for each block of puff pastry. 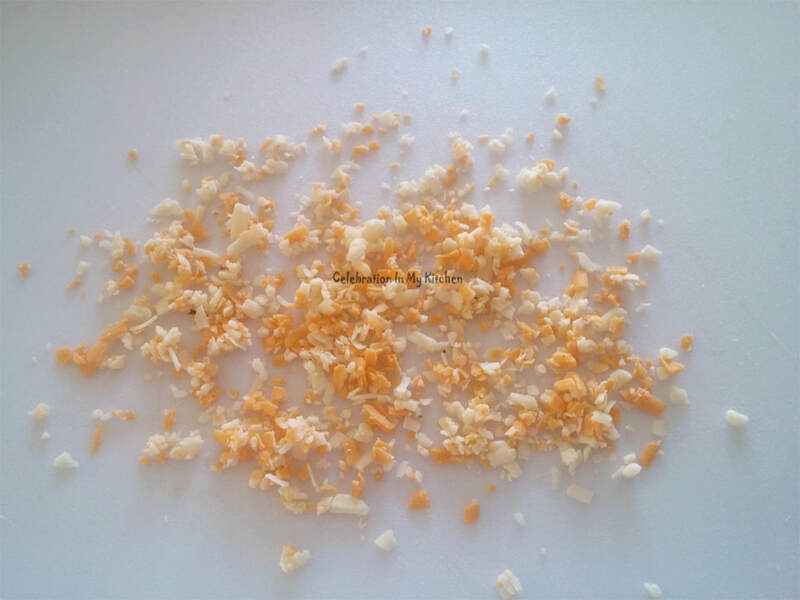 Tex Mex cheese can be substituted with cheddar cheese with a dash of cayenne pepper or chilli powder. Puff pastry can be substituted with shortcrust pastry. Sieve the flour, salt, pepper and mustard powder. Using a pastry blender, cut the butter into the flour until it resembles to a breadcrumb consistency. 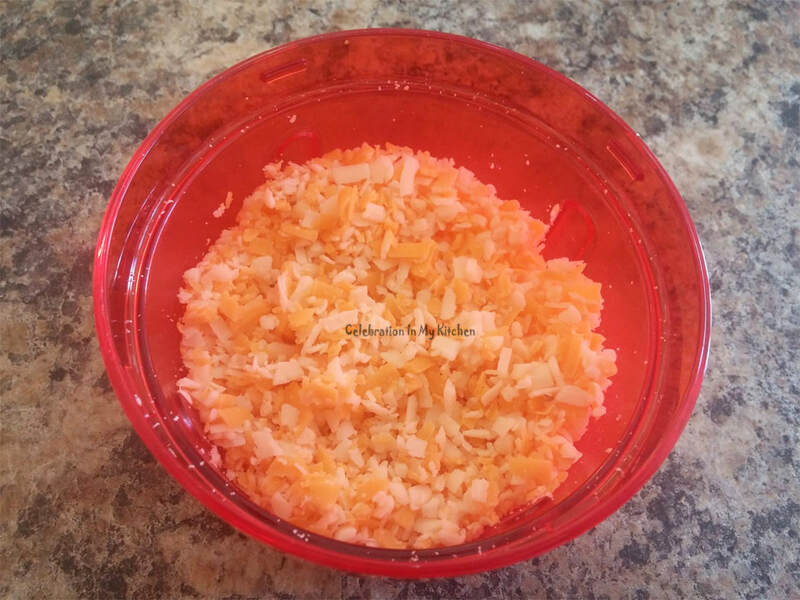 Mix in grated cheese and knead to form a dough. Lightly flour a surface and the rolling pin. Roll the dough out fairly thin into a rectangle. Then, cut into strips and follow procedure as indicated above. 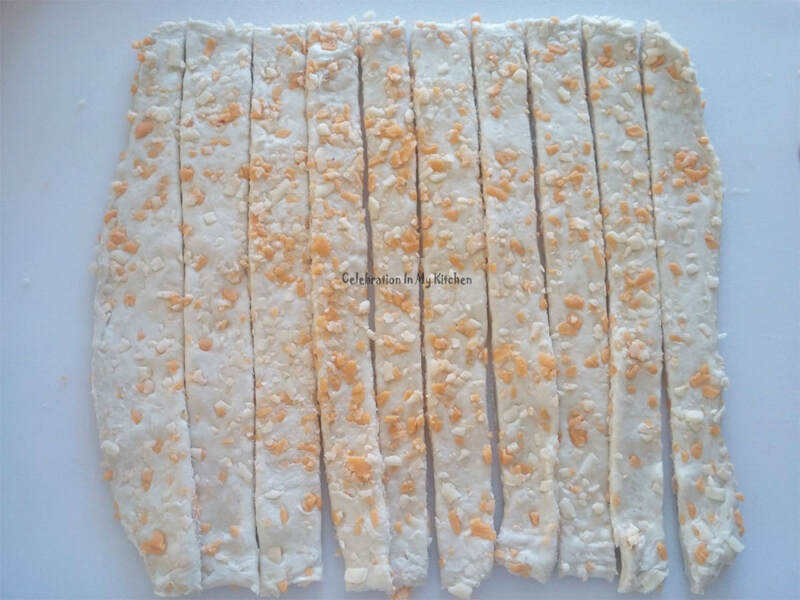 For cheese biscuits, the rolled out dough can be cut with a round 2-inch cookie cutter. Brushed with beaten egg or milk and baked. The centre of each biscuit can be cut out forming a ring. Once baked, the straws can be passed through the ring and served. Shortcrust pastry, cheese biscuits and cut out cookies are from my Home Science Journal.